Empowered IVF's™ Founder & CEO, Rhonda Levy, is a lawyer who has spent decades in leading law firms on Bay Street advocating on behalf of her clients. Her expertise is in mergers and acquisitions, corporate and securities law, legal research, knowledge management, and in drafting complex legal agreements. Rhonda is qualified to practice law in the Province of Ontario, and also passed the Bar Examination for the State of New York. She was a partner in a leading national Canadian law firm until February 2014. Since 1998, Rhonda worked as an infertility consultant on a part time basis. However, in February 2014 she ramped up these efforts and launched Empowered IVF™, which is now her full time and exclusive focus. 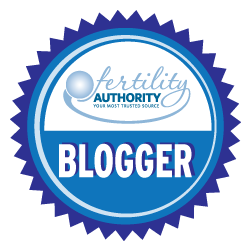 In addition, Rhonda is a frequent blogger on the Empowered IVF™ blog. In March 2014, she launched a second blog called Own the Process With Empowered IVF™ on Fertility Authority, a comprehensive online network providing information for women and men seeking quality fertility and infertility information. Rhonda experienced her own struggle with infertility, which she overcame by developing a deep understanding of the world of Assisted Reproductive Technology (ART), including the subtleties and nuances that are not apparent on the surface, and by becoming her own best advocate. The rare combination of Rhonda's professional skills and personal experiences provides Empowered IVF™ with an unparalleled expertise in the world of ART. It also allows Empowered IVF™ to conduct an insightful comparative analysis of our clients' options, to clearly and powerfully communicate vitally important information, and to provide vigorous and unrelenting advocacy on our clients' behalves. Of equal importance, Rhonda's personal struggle to become a mother has imbued Empowered IVF™ with deep compassion for our clients and a profound understanding of the difficult journey they are on. Rhonda interacts regularly and directly with reproductive endocrinologists and embryologists, reproductive lawyers, psychologists, social workers and therapists who have an expertise in infertility and third party reproduction. In addition, she communicates often with the owners and staff of surrogacy agencies, egg donor agencies, egg banks and sperm banks. Rhonda frequently attends conferences related to the science behind ART as well as to the legal and psychological considerations involved. This allows Empowered IVF™ to be "up to the minute" on all of the field's developments as they occur. 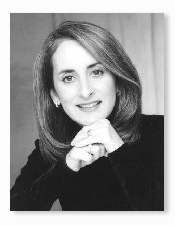 Rhonda has been recognized as an expert in the field and has had many speaking engagements. She has also been invited by the media to share her opinions on issues in the world of ART and to discuss the challenges faced by those who experience infertility. Rhonda has been featured in front-page articles in national newspapers and magazines and on national television. In addition to her professional credentials, Rhonda's academic credentials include a Bachelor of Arts with Great Distinction from McGill University, where she was designated a University Scholar based on her strong academic performance. Rhonda also graduated with Honours from McGill's Faculty of Law, and was awarded the James McGill Scholarship for high academic achievement. Rhonda is a member of the American Society for Reproductive Medicine, the Law Society of Upper Canada, and the Canadian Bar Association. Rhonda's loves being a mother to her beautiful twin sons Max Solomon and Lorne Ezra Levy, and cannot imagine her life without them. This fuels her intense passion to help others become parents, and it is at the very core of Empowered IVF™.